The kids were given the opportunity to review Chess House's Starter Chess Learning Kit. 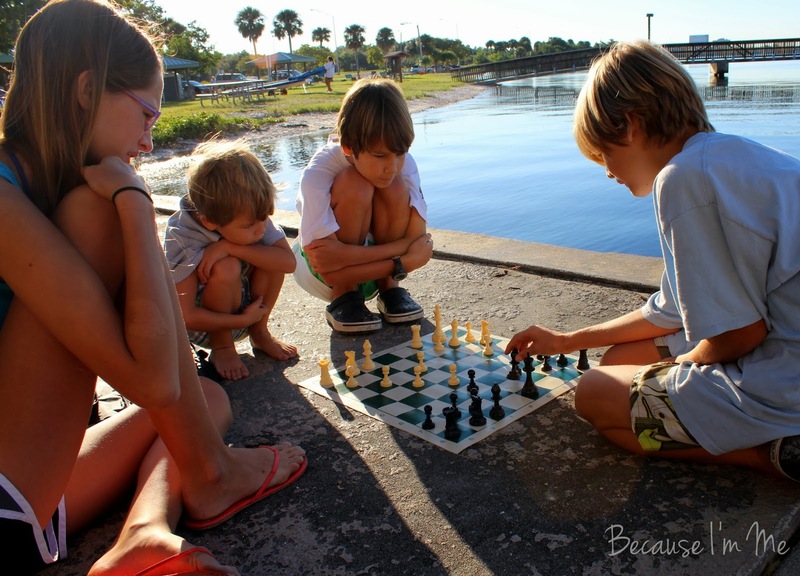 Confidentially: I was excited about this review because I thought I'd finally be able to beat the kids at chess after we used the products. Confidentially: They still win, and now more of them can beat me. My plan seriously backfired. For this review we received a roll-up chess travel chess board, complete set of chess pieces with one extra queen for each side, an Elliott's Chess School Pawn Level DVD, and a cool fully-lined camouflage carrying case with zippered pockets and carrying straps. We began by watching the video. In the DVD case is a booklet with activities for each topic covered on the DVD. The boys made great efforts to watch the DVD when their oldest brother was at school, in hopes that they'd be able to beat him after completing the DVD and practicing (they haven't beaten him yet, but the games last longer and are better played now). After watching each section the kids would play the suggested games in the booklet. For example, the pawn section of the DVD lasts about 5-10 minutes. There are then two activities in the booklet to try. The activities use only pawns on the board and a Pawn Game is played. The activities really reinforced the lesson and helped the kids to digest the lesson and the job of the various pieces. The Intro to Chess section was beneficial to all of us. We needed a good reminder of how to set up the board, and learning the point values of each piece was helpful to understand the value of each piece on the board. 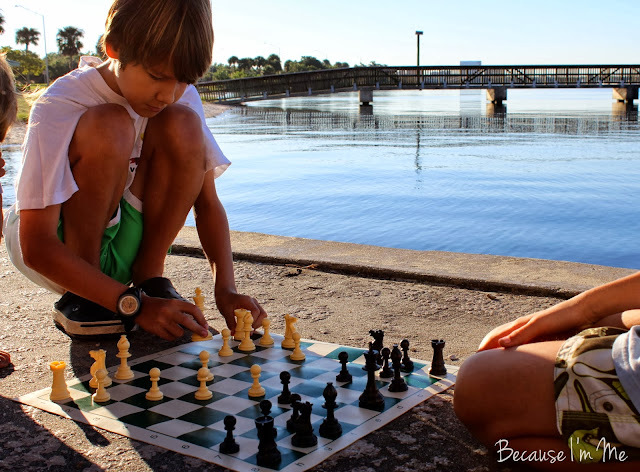 Adam (12) and Kaden (10) knew the moves of each of the pieces before we began, but River (4) didn't. While they all learned from the sections about the pieces River certainly learned the most. Elliott Neff presents the information simply, in an easy to understand manner. 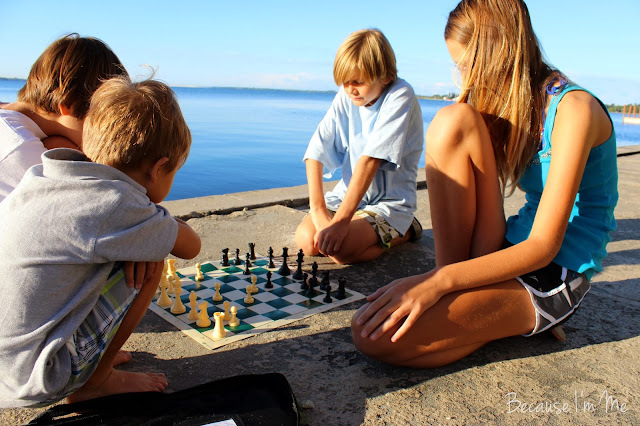 He clearly has a deep understanding of the game - he's a National Chess Master - but is still able to break down the lessons so that children (and Mama's) can understand and follow them easily. Castling, and the importance of it, was very helpful. The sections on Pawn Shields and Development dipped into strategy, which I really need (a lot)! 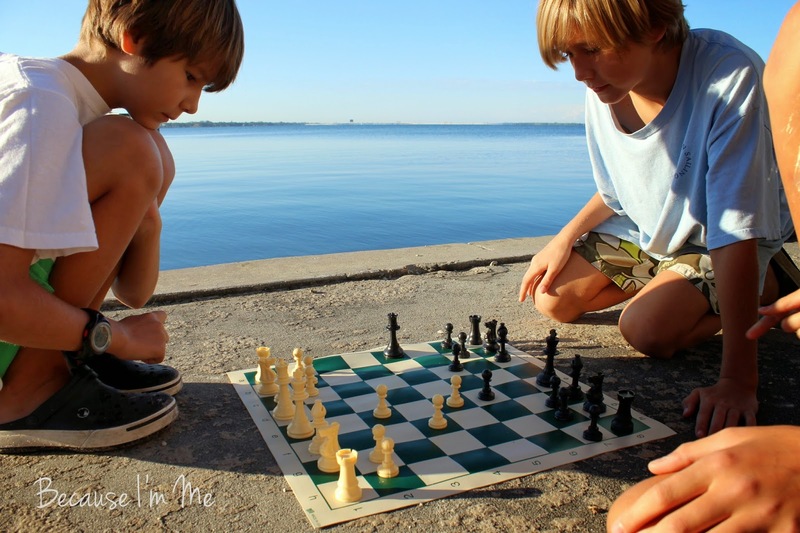 We appreciated the story that was shared about a real chess match and the bad moves one of the players made, it taught us more about thinking ahead and keeping the King safe. I played one of the activity games from the DVD with Adam and lost immediately, and remembered why chess isn't my favorite game (I'm not big on thinking ahead, which doesn't translate to a game like chess). However, after the sections on Pawn Shields and Development I started to see that I could learn the best strategies, which would make the thinking ahead easier. I'm not hooked yet, but I'm anxious to keep learning. And then the games began. 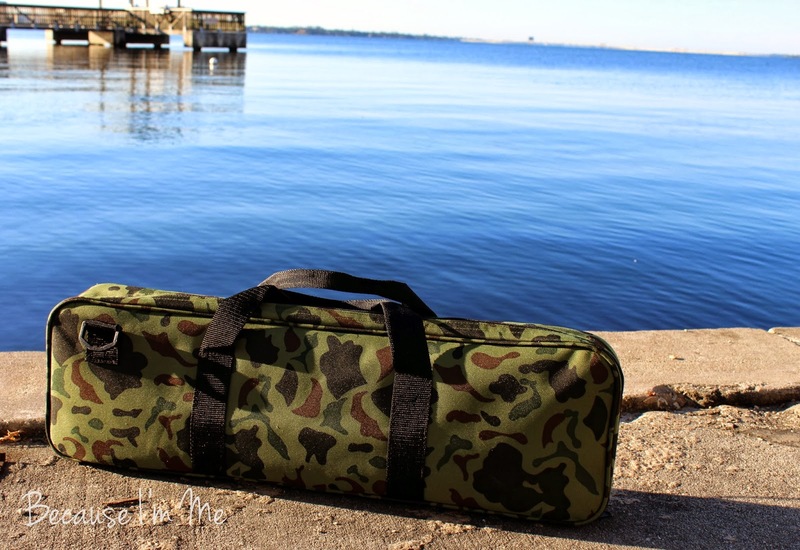 The board and carrying case is super portable, we were able to take this set camping with us and to the sailing center. Basically, with this set the kids could play just about anywhere. Adam and Kaden have played the most, but River, Mia, and Ian have gotten involved too. I really have no negatives to mention about this product. 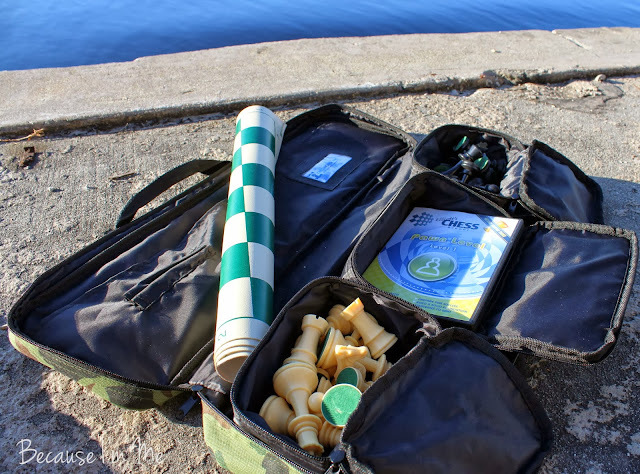 The carrying case and chess board are very good quality, the pieces are nice and large and fit easily into the carrying case pockets. And I think this set is a good value for the price. 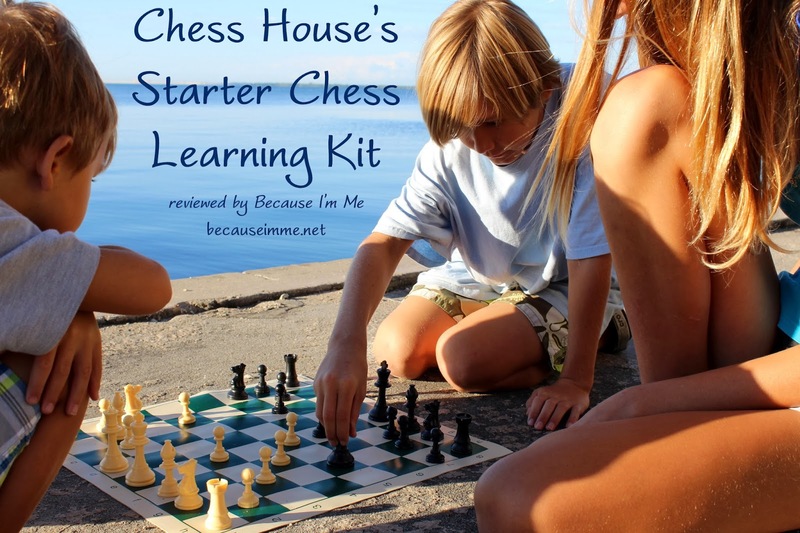 This set is recommended for kids 6-12 years old, however from our experience I'd say it's good for anyone interested in learning chess. All pictures were taken where my kids sail. Yes, this is the view I'm stuck with during practice! This is my favorite picture, Adam and River sitting in the exact same position ... such brothers.